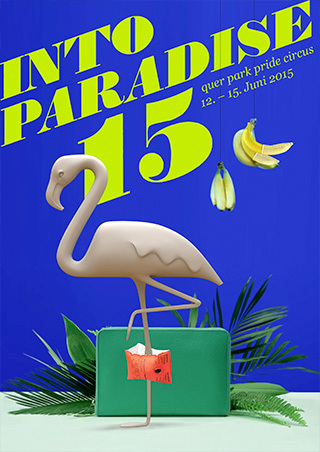 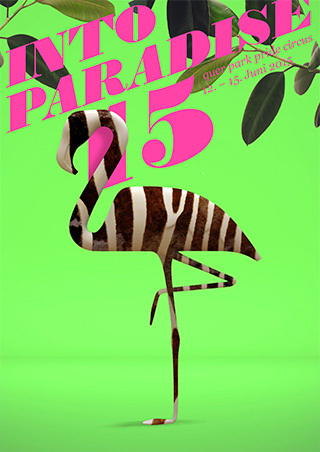 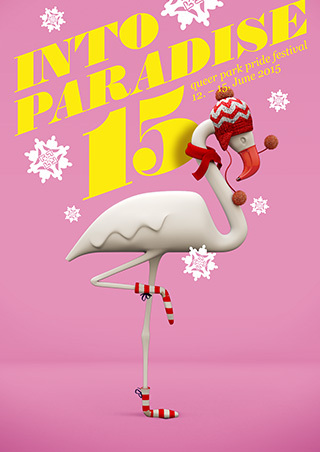 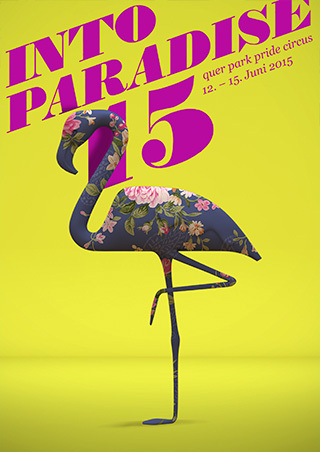 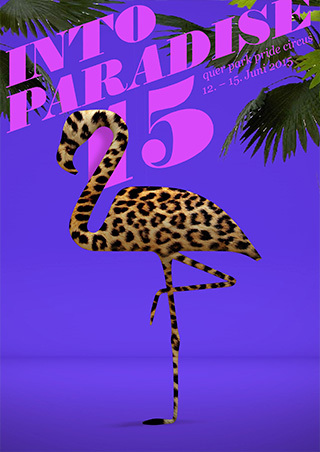 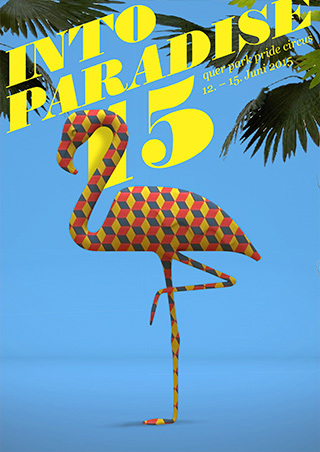 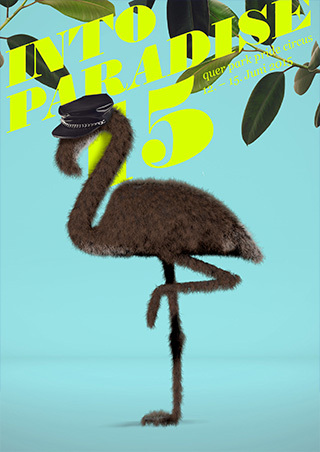 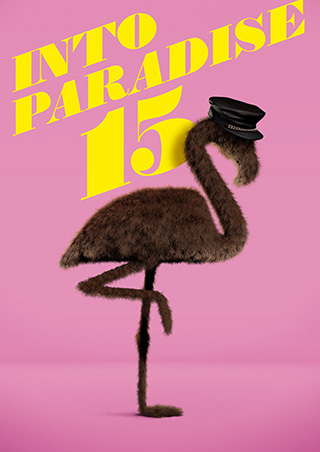 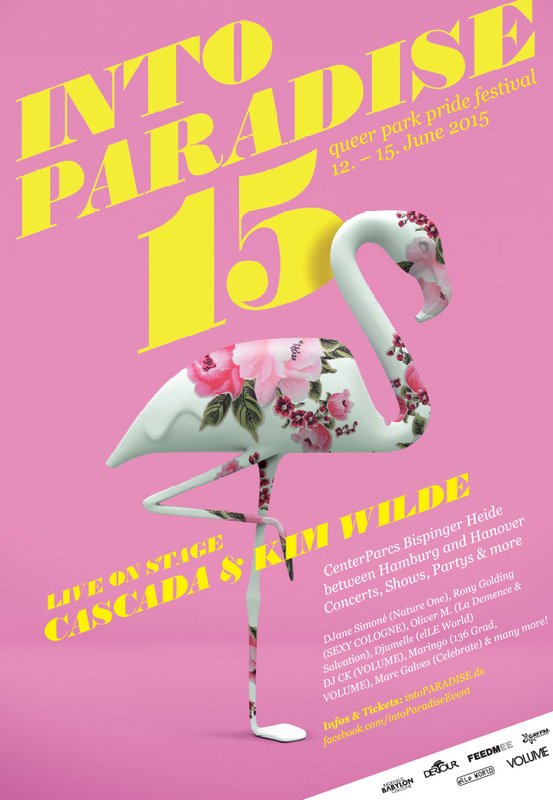 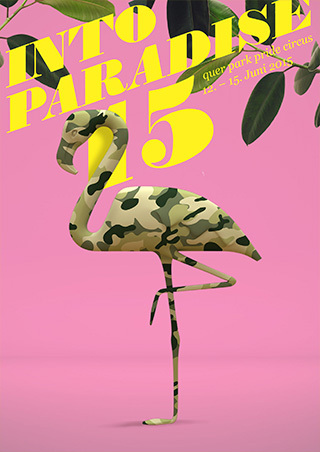 We support the annual LGBT event Into Paradise (June 12 – June 15) by creating their new key visual: A flamingo in seasonal outfits. 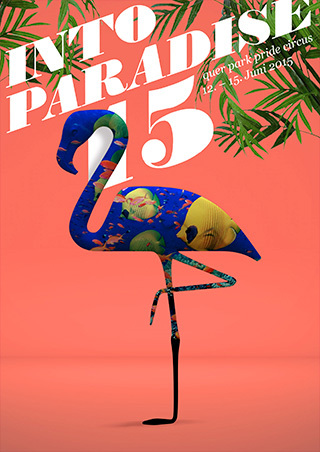 The branding package includes so far: posters, flyers, roll-ups and t-shirts. 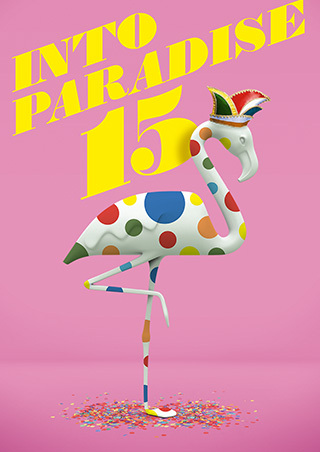 There´ll be more when the event comes closer.